Buckle, or The Buckle, Inc. is an American retail company that sells apparel, shoes, and fashion accessories for men, women, and children. The company also sells its private label brands that include sunglasses, swimwear, bags, and fragrances. The origins of the company go back to 1948 when David Hirschfeld founded the store in Nebraska. It was then named Mills Clothing. Later on, his son Dan changed the store name to Brass Buckle. The store would have various trade names such as BKLE and finally, The Buckle. By then, over 200 stores have already been operating around the US. In 2017, the company has more than 400 stores in 44 states. This milestone gave more applicants opportunities for professional growth. Many employees are attracted to the company’s perks and benefits, such as basic life insurance, dental insurance, and health insurance, 40% merchandise discount, a 401(k) retirement plan, paid vacation and sick leave, and a vision plan. On top of these, successful applicants get to enjoy a competitive pay, a flexible working schedule, an employee assistance program, and bonuses for education, loyalty, and teammate referrals. How old do you have to be to work at Buckle? The minimum age requirement for applicants is 17 years old. In some stores, however, the minimum age is 18. Normally, applicants within this age bracket would be given entry level jobs. The company is always looking for career-driven, energetic, and committed people who would like to be part of the team. Browse the following jobs and descriptions, and see what fits your skills and qualifications. The Systems Analyst shall receive, identify, and record all technical issues and glitches found in the company’s computer systems. If a unit has been found defective, he shall communicate this promptly to the IT team and upper management so a replacement could be made. He shall likewise ensure that new equipment will be properly installed. The qualified candidate must have excellent communication, problem solving, and interpersonal skills. The tasks of the Tax Manager are: preparing annual income tax returns, coordinating with accountants in preparing and filing the tax returns, paying quarterly estimated taxes, researching any underlying issues as regards income tax, and promptly responding to income tax notices. The Digital Marketing Specialist is in charge of setting up, testing, and launching marketing campaigns online. He shall help develop and execute digital marketing strategies to boost sales and create brand awareness. He shall also research new business opportunities and study the company website and online store’s traffic. In contrast, the Digital Media Specialist shall set up, test, and launch listening campaigns. As the content solutions expert, he knows which social media platforms serve consumers best. Likewise, he uses these platforms to reach a wider market and create brand awareness. Whenever necessary, the Digital Media Specialist performs administrative tasks. The key duties of the candidate are picking up merchandise from various locations and delivering them to stores, packing and shipping online orders, processing merchandise received from other stores, and keeping the items in good condition. The applicant is required to be physically fit, given the demands of the job. He should also be highly productive. The Fashion Image Editor understands the aesthetics of Buckle’s private label, and knows how to prepare these items for ecommerce presentation. Detail-oriented, he reviews and selects the right photos to be uploaded to the online store, and continually seeks ways to innovate the company’s image production. The Fixture Specialist is responsible for ordering and shipping fixtures to stores, preparing shipping labels and purchase orders, monitoring inventory, removing old and/or damaged fixtures, and filing damage claims. He shall also help design new fixtures and ensure that these are shipped on time. The company prioritizes its clients and sees that the latter have a wonderful time shopping. Thus, the Guest Services Coordinator has a huge role in providing quality customer service. On a daily basis, he shall coordinate with stores in shipping prepaid orders and assist customers on their merchandise. He shall resolve issues concerning the stores, carriers, and items. The company is looking for a seamstress or tailor who can perform alterations on merchandise, follow ticket markings according to guest specifications, do spot alterations for guests, and meet tight deadlines. The chosen candidate shall also uphold specified productivity guidelines, and keep his work area clean and safe. On a daily basis, the Merchandising Support shall coordinate with sales representatives or vendors with regards to items and product samples. He shall evaluate the production of merchandise, and see if they comply with company standards on fit, styling details, and design. He shall also run merchandise reports and prepare product approvals. Applicants could choose whether they want to work in the corporate office or in the store. The careers webpage has a filtering feature that allows applicants to choose a specific state or store branch. A list of available job positions would then appear – applicants can click preferred position and read the details. Right below the job title is a red Apply Now button, which would lead them to the online application form. First time applicants need to sign in first to the website, while returning applicants will just have to key in their username or teammate number, and their password. Applicants should also keep their resumes ready for uploading. Resumes should be short, neat, and professional looking. The HR team will screen the CV and look for the applicant’s relevant skills and previous work experience. Applicants are usually called for a job interview a week after their forms and resumes have been submitted. Applicants shall sit with store managers for a face-to-face interview, which usually lasts for 20 minutes. The typical questions revolve around what one knows about retail and customer service. The work culture at Buckle is characterized by a high energy, competitive, and fast-paced environment. Everyone works to the best of their ability, and each employee is expected to come up with results at the end of the day. Thanks to these career-driven employees and excellent management, the company recently earned 6.9% additional shares, surpassing the $0.75 estimated earnings per share of Zacks Consensus. Buckle believes in the value of transparency. It gives consumers a choice to spend their money, carefully and strictly observing a high standard of business ethics. Thus, customers would not see aggressive sales associates in any of its stores. The company also believes in doing good and giving back to the community. 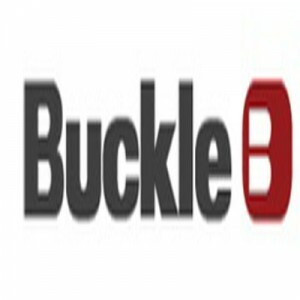 Over the years, Buckle has actively participated in charity projects and collaborated with nonprofit organizations such as the American Red Cross and United Way. 1 How old do you have to be to work at Buckle?